When I found maidofclay's shop, I felt comfortably at home, perusing each of her items. Each piece is carefully crafted and has so much whimsy & character. 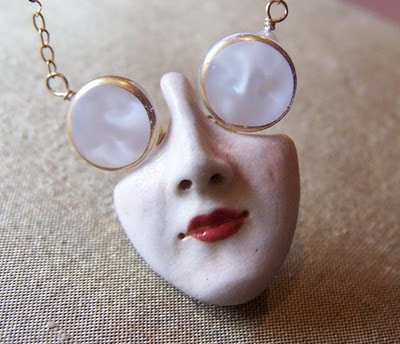 If you're looking for an original gift for yourself or someone you hold dear, you should truly take a look at her porcelain pendants and other handcrafted originals. Magic lanterns with slides that date from the late 1800s to early 1900s fill this shop. 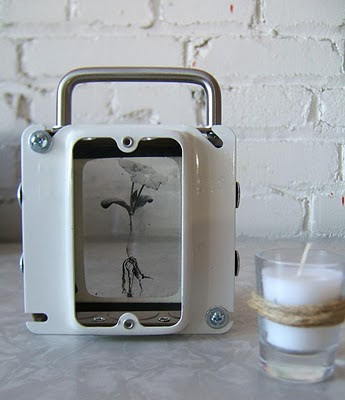 Each lantern is handmade and contains the fire of a simple candle to bring the 35mm glass slides to life. They have a vintage quality and make a fantastic conversation piece. To see more of these, please check out the ghosthaus shop. Each year, I chose a different way to mark the herbs in my garden. One year I used stones, one year wood, etc. 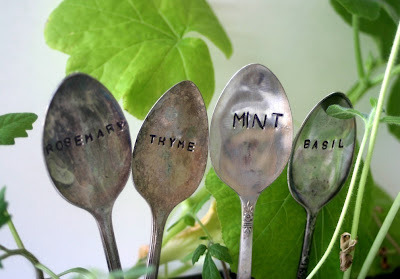 This year, I'm leaning toward these reclaimed pieces of vintage silverware I found in the shop of monkeysalwayslook. I love the tarnish and colors & to imagine the way they'd pop in the garden makes me very excited too.